One of the distinguishing features of Miskatonic University is it's long-standing commitment to exploring the boundaries of science. 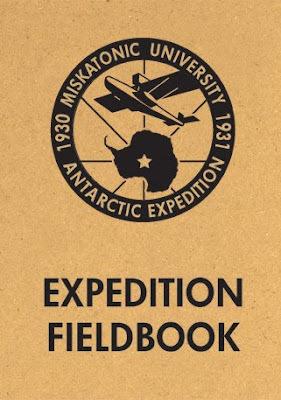 It's students and faculty have traveled the globe, demonstrating a willingness to quite literally go to the ends of the earth in their quest for knowledge. On every continent, from the icy plains of Antarctica to the burning sands of Australia, Miskatonic has left it's mark. And now you can own a small part of that impressive legacy. 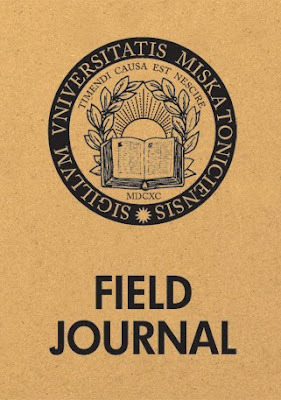 The Miskatonic University Field Journals are patterned after the notebooks used by scientists and researchers in the field to record observations. Each book measures 3.5" by 5" (8.89 cm by 12.7 cm) and has a saddle-stitch binding, 1/4" rounded corners, a heavyweight cover, and 32 pages of high quality lined paper. All materials are 100% recycled and the cover designs are printed with environmentally friendly soy ink. 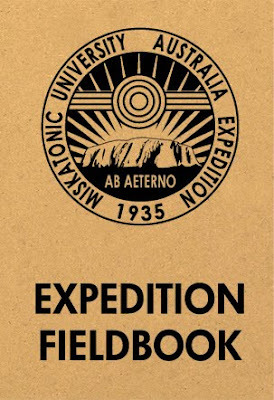 The back of each cover is printed with the procedural notes and ruler as above, while the front features one of three designs: the Miskatonic University seal, the Miskatonic Antarctic expedition logo from "At the Mountains of Madness", or the Miskatonic Australian expedition logo from "The Shadow Out of Time". 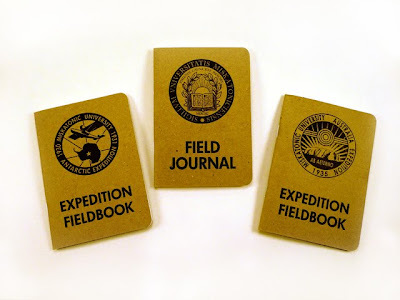 The Field Journals are available as a set containing one of each cover design for $7.50. After clicking "Add to Cart" a second PayPal window will open where you can finalize your purchase. Shipping and handling is $2.50 per set to the US, $4.50 internationally. 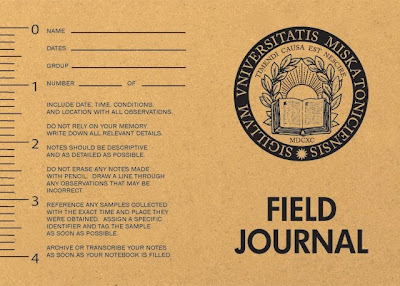 If you're interested in purchasing more than two sets of journals please contact me by email at propnomicon-atsymbolhere-gmail-dot-com to save significantly on shipping. Update: Sold Out. Thanks to everyone that ordered for making the project a success. I received my set on journals yesterday, definetly forth the money. I wonder if you'd be interested in knowing how damn close those are to actual period labels. Have a boo at this one.